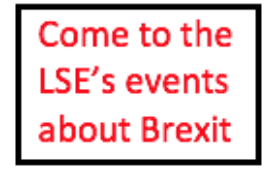 The expression “ever closer union” remains a driving force of European integration of the federalist kind, writes Geoffrey Van Orden MEP, who took part in the expert proceedings on the topic at the LSE Commission on the Future of Britain in Europe. This is why if the UK were to decide to remain in the EU after 23 June, the reform package secured by David Cameron in this area could be of great significance. However, this would have to be accompanied by real political drive on the part of UK government, in order to exploit opportunities and resist the inevitable moves by others towards greater integration. 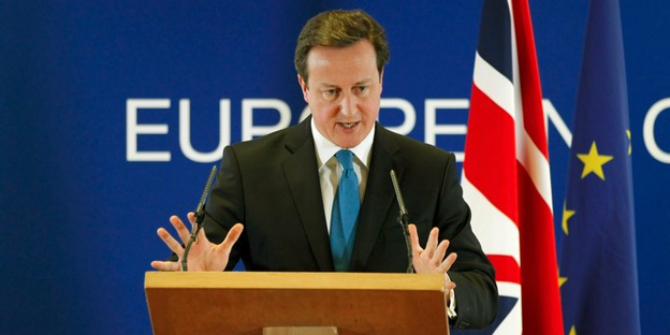 The EU referendum on 23 June is of enormous importance for the future of the United Kingdom. I have no doubt that the two key issues will be our economic future and our ability to control our national borders. However, there is a sub-set of other issues which will weigh in the balance. These include security, defence and foreign policy; the costs of EU membership; the impact of EU laws; international trade; and the EU ambition for political integration through ‘ever closer union’ , usually seen in terms of its opposite, national sovereignty. Sovereignty can be defined in various ways: the supreme and legitimate authority to govern a country; freedom from external interference; or the autonomous ability to defend and promote the national interest, internally and externally. Yet throughout modern history, states have accepted, in the form of international treaties between governments, certain restraints and obligations which mean that they do not enjoy absolute sovereignty. However, the EU relationship is different. Across many areas of policy it has supra-national powers, able to make binding decisions on member states. 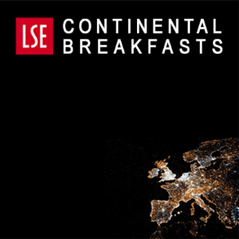 In the context of the EU debate, the questions for a major power such as Britain include the extent to which our sovereignty has been diminished; our ability to decide what “competences” we may be willing to confer to the EU; whether there is some relentless process of erosion of national sovereignty, the extent to which this can be resisted and at what point it ceases to be reversible; whether there is just a single end point to this process or whether there are alternatives; and how much influence on others is gained by accepting some of their influence on us?. International relationships are just that – relations between nations. This is true of the UN, the WTO, the International Criminal Court and such conventions, for example, as the European Convention on Human Rights, the Non-Proliferation Treaty, and the Ottawa Mine-Ban Treaty. I sometimes hear our membership of NATO quoted as an example of how we agree to give up powers to an international body. But there is no comparison between NATO and the EU. NATO has no supra-national powers. Its powers are entirely inter-governmental. Even its crucial mutual defence clause, the fabled Article 5, leaves it to each member nation to respond with whatever action it deems necessary in the face of an armed attack on one of their number. The EU is unique in that, over a wide spectrum of policy, it acquires powers previously exercised by sovereign states. It has gradually dispensed with many of the ‘inter-governmental’ aspects and replaced these with the EU’s legally-binding ‘community’ powers. The statement in the Preamble of successive EU Treaties “to continue the process of creating an ever closer union among the peoples of Europe” is evidence of the ultimate ambition to create an EU state. My experience during 17 years in the European Parliament is of gradual, inexorable movement in one direction – European political integration – sometimes through a massive gambit such as the single currency, but more often by Monnet’s ‘small steps’. Successive British governments have sought at home to explain their agreement to such developments in the EU in practical terms while the conversation in the Parliament and more widely among the continental political elite has been over the advance of political integration. In this regard, the full significance of the Treaty of Lisbon is only beginning to be properly understood beyond its initiators. Pre-Lisbon it was, perhaps, accurate to see that the European Council, the seat of national governments, reigned supreme. Now that power is shared over almost all policy areas by the European Parliament, one of 3 distinctly federalising institutions along with the Commission and the European Court of Justice (ECJ). We should understand that most continental MEPs are in the Parliament either because they believe in the project of political integration or they have been nominated for their positions by parties that subscribe to this idea. It is not clear that this attachment fully reflects the views of the citizens in each of the member states of the EU. The process of EU political integration, and its flip-side loss of national sovereignty, is determined by a number of factors. Firstly, by the extent to which competence is conferred to the EU by the nations and under what constraints. Secondly, by the ability of a national government or parliament to veto a policy which it opposes. Thirdly, by the possibility that powers conferred on the EU could be returned to the nations, or that the exercise of such power might be overturned by the ECJ. The Maastricht Treaty established ‘firewalls’ between areas of community (i.e.EU) competence on the one hand and on the other, justice & home affairs policy (JHA) and foreign & defence policy (CFSP) that would remain, for the time being, in the hands of the nations. The first of these firewalls was dismantled by the Treaty of Amsterdam and much of the second by the Treaty of Lisbon. The EU now has exclusive competence in some, and a degree of competence in almost all, policy areas. Only the EU may pass laws in 6 specific areas: Customs Union; Competition rules; Eurozone monetary policy; Conservation of marine resources; Common Commercial Policy (i.e. international trade agreements, legislation on anti-dumping and anti-subsidy measures, export and import controls, trade sanctions etc); and certain international agreements. It has “shared competence” with the nations over a further 11 major policy areas (Internal market; environment; trans-European energy, telecommunication and energy networks; employment and social policy; regional, environmental, agricultural and fisheries policy; consumer protection; transport; research, technological co-operation, and space exploration; justice and home affairs; shared safety concerns in public health; and development and humanitarian aid). But even here, the nations may only act to the extent that the EU has not exercised its competence, except in the areas of research and humanitarian aid. The ultimate guarantee of a nation’s ability to ensure that policies it opposes are not introduced is in the use of the veto. The Treaty of Lisbon removed the national veto and therefore extended the use of qualified majority voting (QMV) in dozens of new areas. QMV became the default voting method in the Council of Ministers. In 2009-2015, the UK was on the losing side in 12.3% of the votes in the Council. The UK was the most frequently outvoted country and was defeated more than twice as often as the next two most frequent losers, Germany and Austria, who were on the losing side in 5.4% of votes. The budget, foreign and security policy, and international development were the issues on which the UK was most often outvoted. Furthermore, the frequency with which the UK is defeated is increasing; in 2004-2009 it was defeated only 2.6% of the time. This may of course reflect the difference between UK representation by a Labour government in the Council, agreeing to the increased powers of the EU, and Conservative-led governments more anxious to protect the UK’s national sovereignty. National Parliaments are sometimes also regarded as a potential brake on EU laws, particularly in terms of monitoring ‘subsidiarity’ but none of the institutions of the EU are answerable to any national parliament and national parliaments can exercise their powers and influence directly only upon their own Ministers as national representatives in the Council of Ministers. In addition, a significant proportion of UK legislation originates from the EU. The estimated proportion varies from 14% to 65%. The ECJ also has an important role in taking forward the project of EU integration through its judicial rulings. Its judgements are often driven by judicial policy rather than the strength of legal argument. While the expression “ever closer union” may appear in only about 50 of its judgments, wording relating to the “spirit” of ever closer union occurs in ten times that number. The “original intent” of the EU’s founding fathers is a constant source of ECJ inspiration and the concept of “EU citizenship” provides a further basis for its rulings. For some, the expression “ever closer union” has little practical significance. It is merely a form of words in the Preamble to the EU Treaty. However, for both patriots and EU federalists it is of fundamental significance. For the latter, it “predicates the whole constitutional order of the EU”. So where did the reform negotiations take us? At the conclusion of the negotiations, in its Council Conclusions of 19 February 2016, the EU recognised that the United Kingdom would not be committed to further political integration into the European Union and references in the Treaties to creating an ever closer union would not offer a legal basis for extending the scope of EU legislation or an extensive interpretation of the competences of the EU. At the same time, it was concluded that these changes would not affect the exercise of competences conferred on the EU but there was recognition that it may be possible for these competences to be reduced and returned to the Member States. If the UK were to decide to remain in the EU after 23 June, the reform package in this area could be of great significance. But this would depend entirely on the degree of political energy and political will to take advantage of its possibilities and give substance to the Prime Minister’s vision. Left as they are, the words mean little of substance. Indeed, nothing might change. All Treaty articles could just continue to apply to the UK. However, with real political drive the escape from ever closer union could offer great potential. Not only would the UK be better equipped to resist the inevitable moves towards greater integration in many areas including defence, migration, and fiscal and financial policy, but the possibilities of recovering powers in many other areas is opened. Furthermore, a maximalist interpretation might even allow the UK to reject any legislation that included elements of further political integration or enhancement of EU competence. Given the doubts that some have expressed about the conviction and determination on the part of civil servants responsible for negotiating the UK reform package, there would probably be little confidence in the same people being charged with seizing these opportunities for Britain in the years ahead, unless they were operating on a daily basis under strong political direction. Just as the EU old-guard aims to fulfil its vision of ever closer union moving gradually towards statehood, with an EU citizenship that trumps any other status, so Britain could take the lead in creating a new set of essentially transactional relationships, guarding national sovereignty. This would represent an alternative, concentric formation of nations still sitting at the top table, still acquiring whatever benefits there are from the single market, but steadfastly retaining independence of action both at home and in the wider world and resisting the EU’s centripetal pull. Note: This article gives the views of the author, and not the position of BrexitVote, nor of the London School of Economics. Image credit. 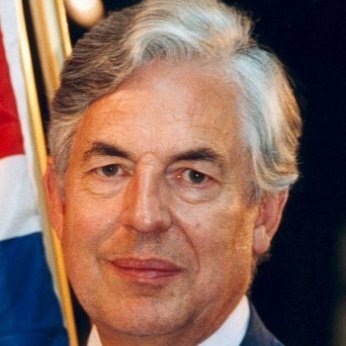 Geoffrey Van Orden is a former senior British Army officer, now eurosceptic Conservative MEP specialising in Foreign Affairs and Defence.